After ByteDance secured its pre-IPO financing in October 2018, it was valued at over US$75 billion, becoming one of the world’s most valuable startups. Its founder and CEO, Zhang Yiming, is currently worth US$16.2 billion. A software engineering graduate of Nankai University, Zhang started ByteDance in 2012 when he was 29 years old. He has since grown his company into an operator of a raft of platforms that enable users to create, consume and interact with content in multiple forms, including short video and news. ByteDance’s most popular content platforms reach millions of Chinese people every day. AI-powered news aggregator Jinri Toutiao – which means “today's headlines” in Chinese – has over 240 million daily active users (DAUs). Viral video app Tik Tok (known in China as Douyin) boasts over 500 million daily active users (DAUs) in China and abroad. China’s tech landscape is overshadowed by three companies: Baidu, Alibaba and Tencent (collectively known as BAT). Most Chinese startups with high valuations have received at least some funding from BAT. Baidu funded Foxconn and NIO; Alibaba invested in Ele.me and SenseTime; Mobike and Pinduoduo are backed by Tencent. Yet, despite all the money and resources BAT have to offer, ByteDance’s founder wants nothing to do with the three tech powerhouses. Zhang felt it would be more meaningful for ByteDance to grow on its own. Weary of BAT’s economic dominance in Chinese tech, he wants other companies to challenge their supremacy. “If new firms or platforms become established in the business scene, that sets a good example for later-comers,” said Zhang. The founder of ByteDance defies the mold of those willing to stand up to power: some consider the quiet, gentle and seldom angry founder too nice to manage people. Zhang responded to his critics by saying that steering his company in the right direction was more important to him than bossing around his employees. Zhang has proven to have a preternatural sense of how to run a company. According to Zhang, 80% of the major operational decisions about ByteDance were hammered out within the first three months. Few changes have been made to the company’s roadmap since. “[Zhang] is a forward-looking entrepreneur. He figured out what the [content distribution] market needs and how big that market is much earlier than other people,” said Meituan founder and CEO Wang Xing, who has been friends with Zhang for over ten years. In 2012, Zhang realized that Chinese mobile users were using their smartphones to desperately scour the web for content in which they were interested. 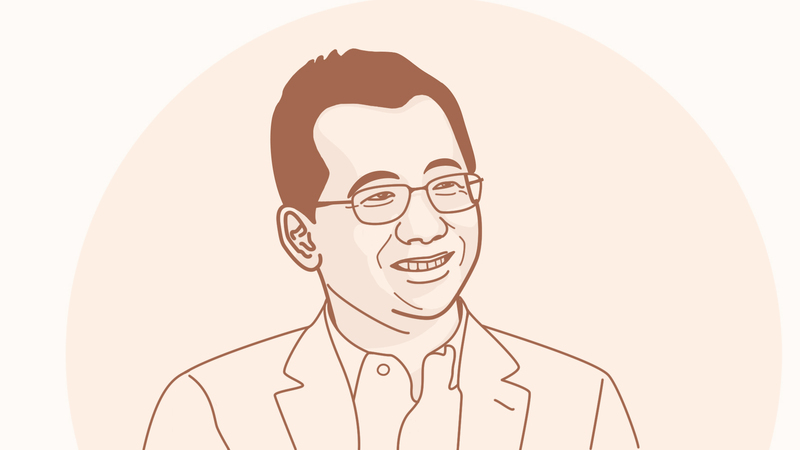 So he and his team created Jinri Toutiao, which changed the way Chinese people consume news by pushing personalized recommendations to several hundred million readers. Zhang was also eyeing the field of short video, which had no dominant players at the time. In February 2018, the three video channels operated by ByteDance – Watermelon Video, Volcano Short Video and Tik Tok – attracted 330 million Chinese DAUs, which made ByteDance the no. 1 short video platform in the country. Alarmed by ByteDance’s success, BAT have since invested in other short video platforms or launched their own platforms to try to compete with Zhang. Tencent, for example, not only invested in Kuaishou, a short video company which currently has 160 million DAUs, the tech giant also spent RMB 3 billion to lure influencers to Weishi app, its own short video platform, in April 2018. BAT have so far failed in their efforts to corner the short video market. ByteDance continues to reign supreme. As with many major companies, ByteDance’s expansion has coincided with controversy. Since its establishment, Jinri Toutiao has had copyright disputes with many media channels, including Sina, Sohu and Tencent. In 2017, Tencent sued ByteDance for using its content without permission and won. ByteDance has also been criticized by the public and authorities for distributing lowbrow content. Persuading others to come around to his opinion doesn’t come as naturally to Zhang, a quiet and even slightly shy entrepreneur, as it would to more forceful personalities. Nevertheless, determined to prevent the controversies from sinking his company, he spent plenty of time communicating with the media about the disputes. Initially, Zhang’s argument was that ByteDance was not media outlet, it is a tech firm. The company employs no journalists or editors and does not produce its own content. “The most important thing is to increase the efficiency of content distribution and satisfy users’ need for information," said Zhang. But governmental pressure mounted. In April 2018, the State Administration of Radio, Film and Television demanded that Neihan Duanzi, another one of ByteDance’s platforms, which, as of February 2018, had over 11 million DAUs, be shut down for distributing vulgar and pornographic content. Zhang caved in to the government’s demands. Several days later, he apologized to both users and the authorities and promised to hire 10,000 additional employees to screen platform content. Still, these sorts of setbacks could never deter the dogged entrepreneur from expanding his business. At ByteDance’s annual meeting in March 2018, Zhang mentioned that it was time for the startup to go global. The company had dipped its toe in the foreign market as early as 2015 when it launched TopBuzz and TopBuzz Video, overseas versions of Toutiao and Watermelon Video supported in English, Japanese and Portuguese. By February 2018, TopBuzz had more than 10 million overseas users. 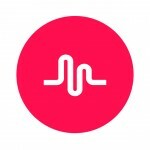 ByteDance also invested in and bought news distribution and short video platforms in India, Indonesia and North America, including Musical.ly, a musical short video platform with over 20 million DAUs. Under Zhang’s guiding hand, ByteDance has a more proactive global approach than most other Chinese tech giants. “I hope to keep exploring, to see how much ByteDance and technology can achieve and how many users we can influence. I set no limits, both for myself and for my company,” he said in a 2016 interview.